Interested in Visiting Mayan Ruins? We Can Schedule That Too! Casa del Rai is a Boutique Hotel located in San Pedro, Belize. Each suite has a fully equipped kitchen, bathroom, one or two bedroom and a futon in the living room for additional guests. The roof top patio has a private pool and palapa with a spectacular view of both the Caribbean Sea and Lagoon giving center stage to outstanding sunrises and sunsets. Casa del Rai is a brand new, boutique hotel that caters to adventure travelers, a family on the go and honeymooners alike. We offer 2 one bedroom suites, 2 two bedroom suites, and a 3 bedroom suite; all decorated to make you feel at home. Each of our suites come with a full kitchen, its own private bathroom(s), futon or pull-out sofa and rooftop access to our own private pool. Casa del Rai is just a few steps from the Caribbean and each suite comes with incredible ocean views. The hotel is located in the Boca Del Rio part of San Pedro, halfway between the traffic circle and the bridge. We are walking distance from downtown San Pedro and dozens of shops, restaurants, and bars. As beautiful as our suites are, we know you’re not in Belize for that. We can provide you with recommendations for golf cart rentals to get around the island on. Or any of the many water activities such as SCUBA diving, snorkeling, fishing, sailing, booze cruises or parasailing. 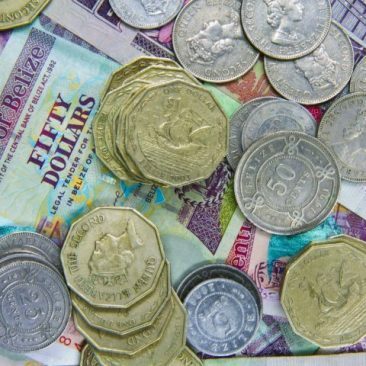 Or, we can recommend tour operators that can take you to the mainland to visit Mayan Ruins, go cave tubing, zip lining or even visit the Belize Zoo. We can often get discounts so please be sure to ask us about these tours. Aileen and Randy are awesome hosts! Very helpful with suggestions for activities and places to eat. Couldn’t have asked for a better vacation spot or location on San Pedro! Would highly recommend staying with them in Belize! 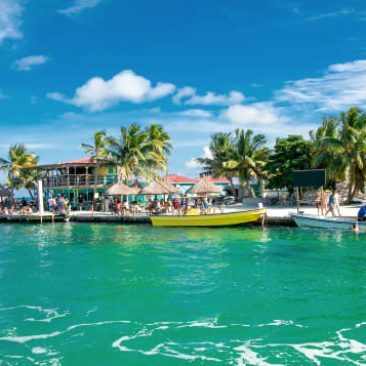 Your trip to Ambergris Caye in Belize will be amazing. You will start with meeting the owners of Casa del Rai, who are very hospitable and energetic to make you feel at home and let you explore the island. 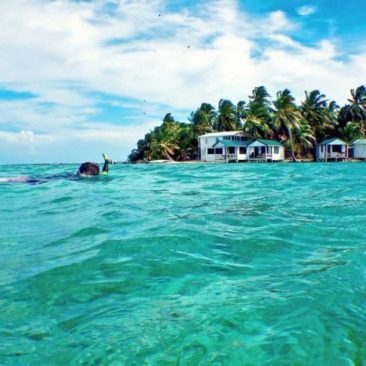 The location of their place is amazing and very central, being less than a minute walk to the beach and at the same time, you have the opportunity to experience the local living of Belize locals. If you want adventure in the water with the 2nd largest coral reef in the world for an amazing snorkeling and scuba experiences with the underwater wildlife, to long walks on the beach that can go on for miles… to great local food options that are very close to Casa del Rai House.You will feel very welcomed and the convenience of English being the first language in Belize, creates less barriers when traveling to a foreign country. Sun, Fun Heat ! Enjoy your stay at Casa del Rai ! Aileen and Randy the owners of Casa del Rai are fantastic hosts who love people love to laugh and truly enjoy showing their guests the sites and restaurants to go to. Casa del Rai is spotless, beautifully landscaped, ocean views , 1 min walk to the beach, 2 min walk to massage on the beach and boat launch to finest snorkeling and scuba diving around. If you like to enjoy yourself and feel totally relaxed and welcomed at home away from home then Casa del Rai is where you want to be. We loved it!